Going with the flow of technology? The American Academy of Pediatrics recommends zero television for under twos, and no more than one to two hours a day for older children. Rather shockingly, after a quick bit of research, there don’t seem to be any such guidelines from any equivalent UK body, although back in 2007 psychologist Dr Aric Sigman made recommendations to the government of zero television for under threes and just thirty minutes to one hour a day for children aged three to seven, increasing after this to up to two hours a day for sixteen year olds. He asked the government to produce guidelines to this effect. Newspaper articles are always giving us various shocking figures regarding how much TV the average child views every day, every week, in a year or in a lifetime, but these statistics often don’t include time in front of screens other than TVs, something which would surely make for even more sobering reading. Miranda Sawyer’s recent article in the Guardian struck me as incredibly complacent. That unquestioning, ‘go with the flow’ kind of attitude that I so detest. “He could play computer games before he could read. Now he reaches for his Nintendo DS like I reach for my mobile; he fills in idle moments on Fifa..” she says of her six-year-old. And she just accepts this?! A six-year-old? I must be leading some sort of sheltered existence because I admit this actually shocks me. Not just the idea of a child being so addicted to something at such an age, but that their parent could be so blasé about it. The thing about these devices is that, unlike TVs, which are bad enough in the way they’re cropping up in more and more public places, kids can take them everywhere, so they can interfere not only with their play at home, but when they’re out and about, on camping trips, at parties, at a friend’s house, on a visit to relatives, picnics, everywhere. Not much good the National Trust and other organisations bleating about getting kids outdoors more and away from screens if they’re just going to take the darned things out with them. When we went to a barbecue recently, my child, having been told we were going to a party, was a bit taken aback on arrival by the absence of a bouncy castle and face painting. But with plenty of other children there and a large garden to explore he soon became happily occupied with playing hide and seek, ball games, and just being kids. But there was one child who had brought some hand-held device. He played with the other children for a short while, then sat, squatting on the grass, engrossed in his device for the remainder of the party. I can’t even begin to list all the things this child was missing out on. I kept looking over at him, then at the other children playing, with a mixture of horror and amazement that such a situation has seemingly become acceptable in our society. 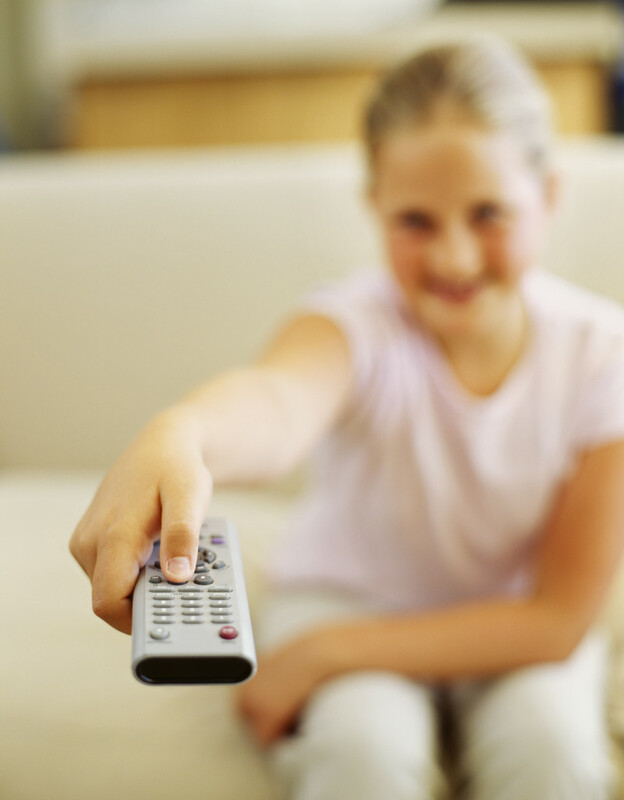 There is plenty of evidence of the harm screen time can do to children’s development. After all, this is what the recommendations of psychologists and organisations like the AAP are based on. Short attention span, aggression, obesity, impaired language development, reduced academic performance, poor sleep are just a few of the potential problems, perhaps the ones easiest to dismiss. A more potent warning for me is that of children becoming dependent on screens for entertainment and losing their natural ability to create their own play. But it’s what children are missing out on that really kills me, what they could be doing if they weren’t glued to a screen of some sort. Many seem to think technology is just something we must accept for our kids as part of our modern society. Things were different when we were kids, things change. 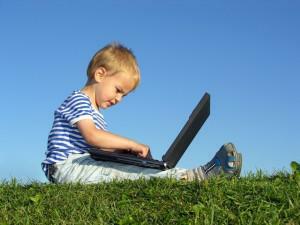 Technology will be part of our children’s lives, there’s no escaping from it. We must embrace it. But somehow I’m just not comfortable with this view. There’s an appropriate time for kids to start engaging with this sort of technology, and I don’t think as soon as they’re able to press buttons or control a mouse is necessarily that time. We all know how easy this stuff is to learn, so what’s the hurry? It’s another erosion of childhood, something else that keeps kids from being kids, and something else that we, as adults, need to protect them from. TV and computer games are addictive, habit-forming, and kids can’t self-regulate in the way adults do (and we’re bad enough with the frequency we check in with our smartphones) so it’s up to adults to put limits on the amount of time they spend on these things. Every parent will have their own views as to what is and is not an appropriate amount of screen time for their children, and when they do or do not allow it, but if Miranda Sawyer’s article is anything to go by, those government guidelines that Dr Sigman called for five years ago are long overdue. I know there’s going to be peer pressure and pester power as my child gets older, but if he ever has a DS or similar, and I intend that he will go as long as possible without one, then one of my limits will be that he doesn’t take it out with him to parties. My child won’t do that. I will personally see to it that he doesn’t. Because I will not be blasé, I won’t go with the flow, and I won’t just accept it.